Reshet ministries, meaning “net” or “network” in Hebrew, was the name given in 2009 to a network of Christian leaders in Leicester who for a number of years had shared a burden to promote a biblical understanding of the significance of Israel and its relevance to the Church today. 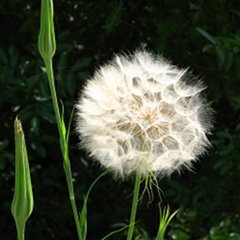 The photo opposite is symbolic of our ministry. 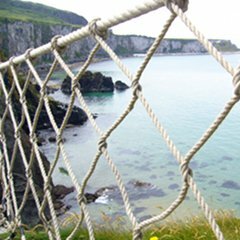 It is a rope bridge linking two peaks in Ireland – called “Carrick a Rede.” We see our network – our “Reshet” as being part of an interlocking bridge linking the “peaks” of Israel, God’s first covenant people, and the Church, his latter covenant people. “Reshet” is also aptly named because of the many and various links we have both with organisations in Israel and the UK. 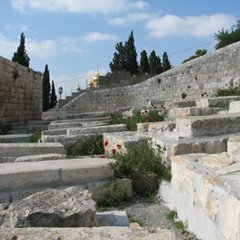 We have seen Christians from Leicester go to serve God in Jerusalem and Haifa in Israel, we have financially supported them and other ministries both nationally and internationally who share our heart for Israel. Therefore, remember that formerly you who are called Gentiles by birth … were separate from Christ, excluded from citizenship in Israel and foreigners to the covenants of the promise, without hope and without God in the world.